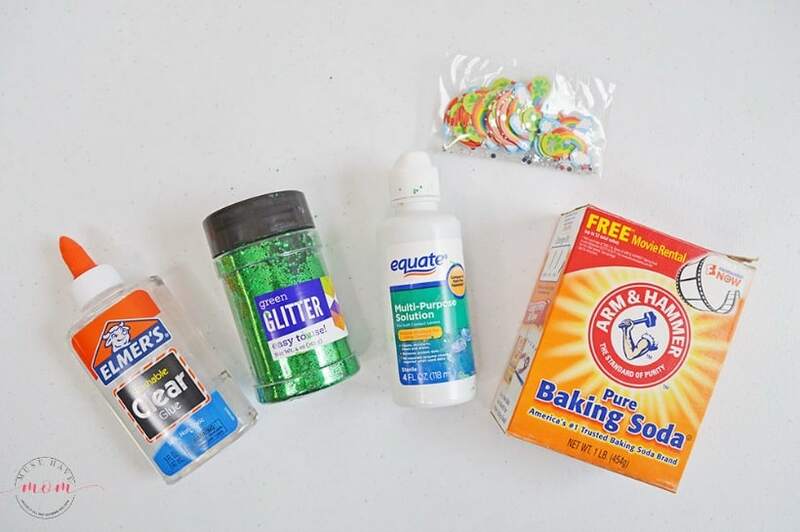 This fun and easy rainbow glitter slime is made from contact solution, baking soda and school glue! Add some green glitter and rainbow confetti and you’ve got a fun slime just begging to be played with. 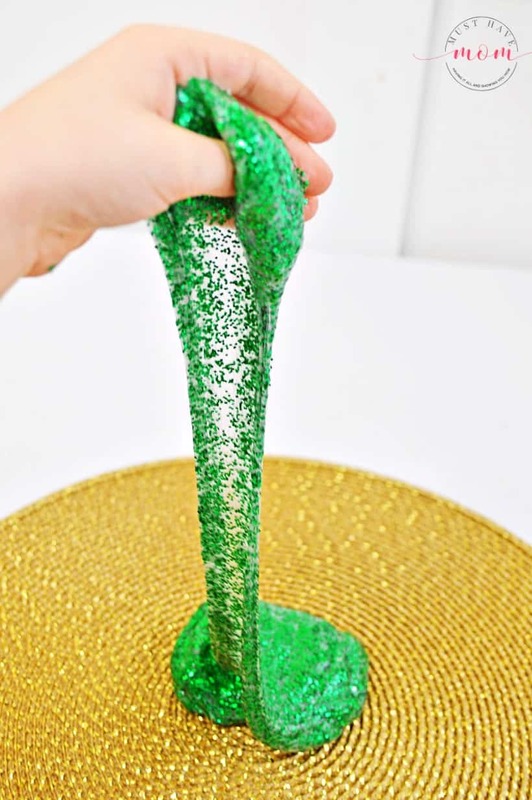 Slime is all the rage and making glitter slime is so easy and fun that it’s something you can easily say yes to on a rainy day. 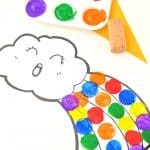 This rainbow glitter slime will perk up any rainy day and makes a great activity for St. Patrick’s Day too! I’ll show you how to make glitter slime with rainbows and green glitter! In a bowl, mix glue and baking soda. Add glitter, mix well. Add contact solution and mix until slime starts to become solid. Finish mixing the slime by hand and add more contact solution if it is too sticky. 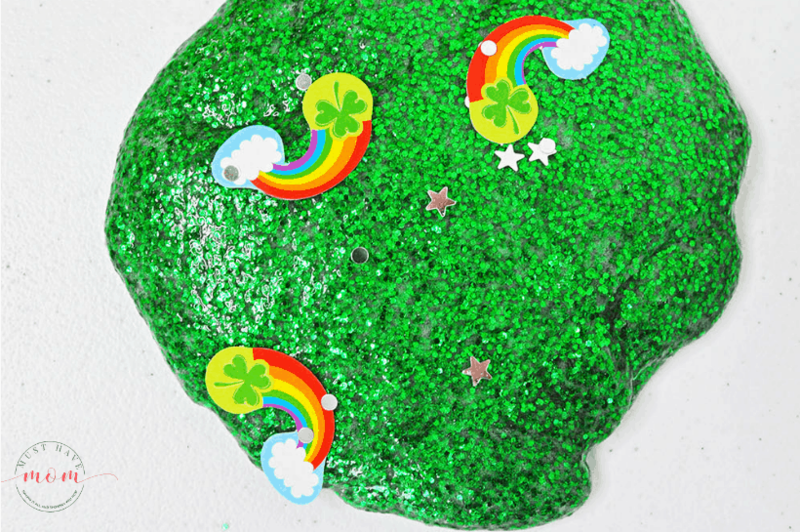 Fold in your rainbow shamrock confetti, and add more as needed. 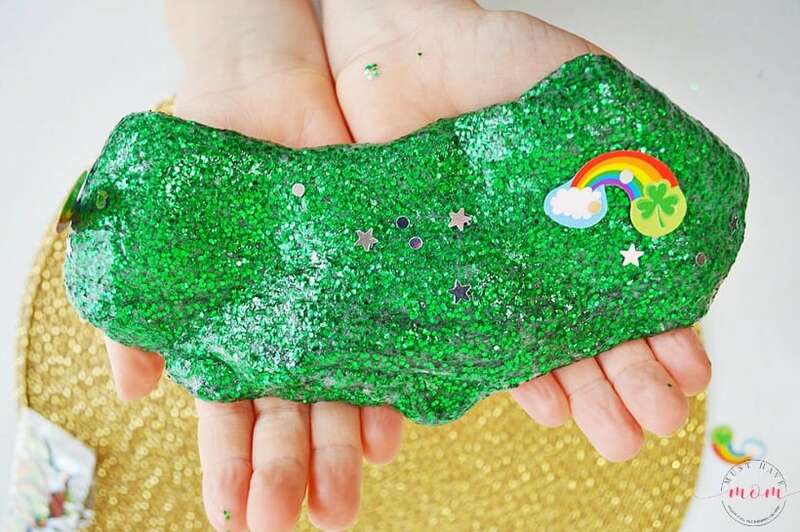 This rainbow glitter slime recipe is perfect for rainy day play or St. Patrick's Day fun! Add contact solution and mix until slime starts to become solid. Fold in your rainbow shamrock confetti, and add more as needed. Enjoy! Now enjoy the fun of slime! Stretch it, smush it, play with it! Store in an airtight container so it doesn’t dry out. 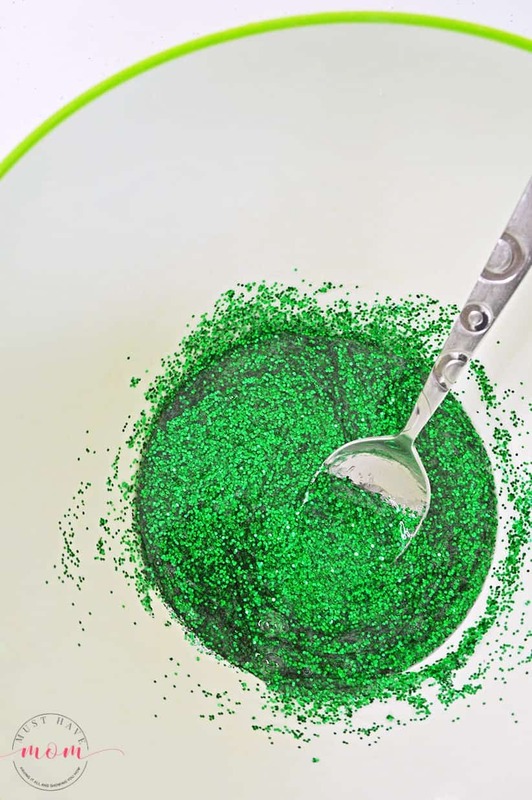 You can easily modify this recipe by using different colors of glitter and confetti. 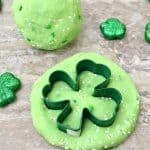 Use green glitter and red Christmas ornaments for Christmas slime, pink glitter and yellow ducks for Easter, pink glitter and red hearts for Valentine’s Day slime and more! The possibilities are endless! I love to keep the slime contained to a half sheet baking pan so it doesn’t make a mess in the house. It makes for easy cleanup and washability. 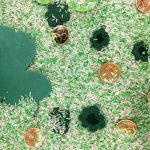 St. Patrick’s Day Sensory Rice Table + How To Dye Rice Green! « Best Pet Urine Remover: How to get Rid of Pee Smell From Carpet! My daughter has Really been in to slime lately!! This is great! Maybe we’ll try a Christmas themed one!! Yes! Red and green would be awesome!